'DID YOU SEE THE LUMP IN THAT FIELD? I think it was a mammal, maybe a marmot. I'm just going back to check' was the conversation somewhere between Rifle and Hayden on my recent Colorado tour. 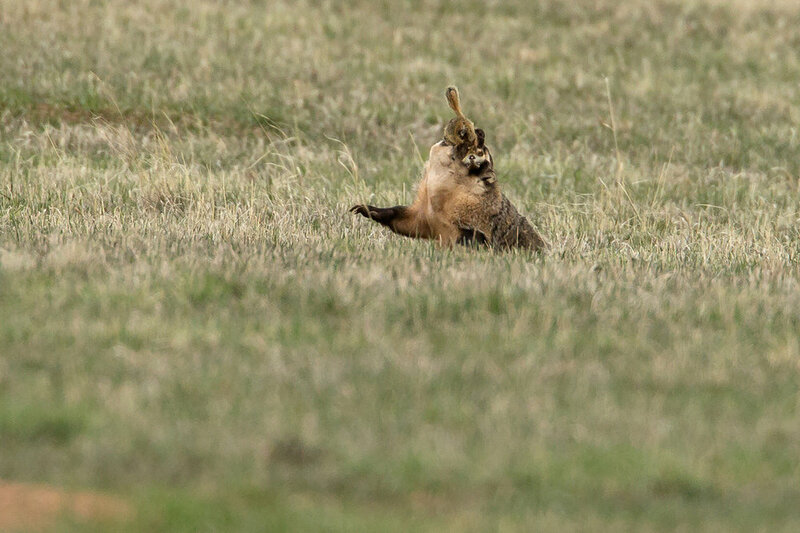 Well, to our delight, the lump turned out to be a badger, which was digging in the middle of a grassy field surrounded by Wyoming Ground Squirrels. Before too long it sat up with a ground squirrel in its jaws, which it then proceeded to shake violently for several minutes. Even though it is fairly common and widespread, it is rare enough to see a badger in the USA let alone some action like this. We hadn't seen one on our Colorado tour for over 12 years prior to this for instance. 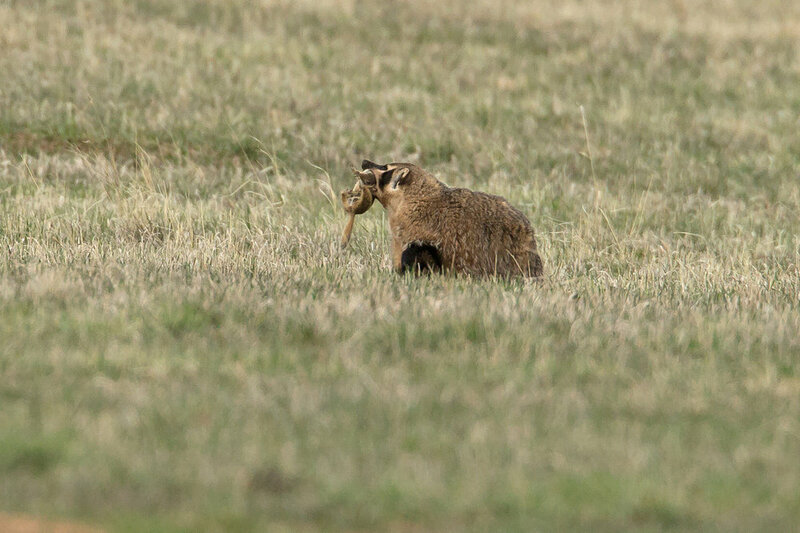 Needless to say, things did not end well for the poor ground squirrel, which forms the majority of the badger's diet in grassland areas.